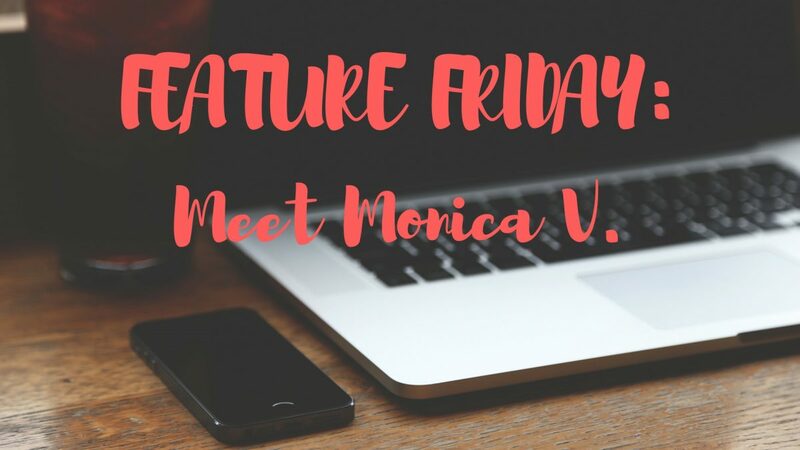 Feature Friday: Meet Monica V.
Happy Feature Friday! Today, we have the pleasure of meeting Monica from Monica Vaklinova. Monica is a lover of travelling, animals, and coffee. She enjoys positivity, chocolate, and writing. 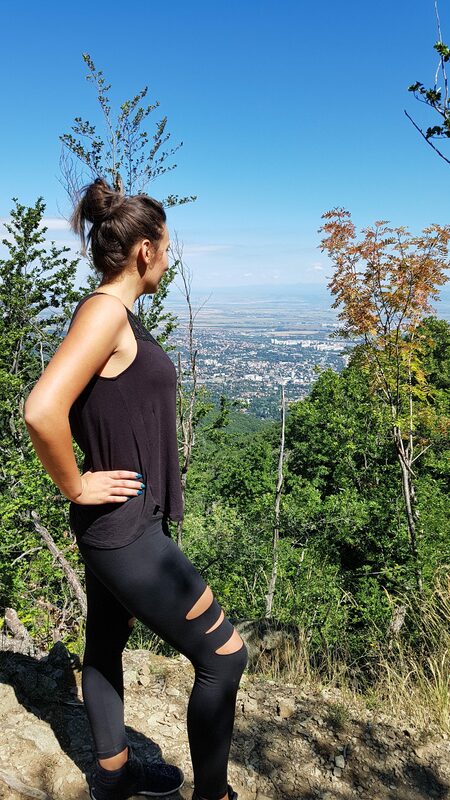 Her blog focuses on some of the things she loves most in life, and she aims to help others be the best version of themselves. Today, Monica is going to share parts of her blogging journey – how she first got started, some challenges she’s encountered, and advice for other bloggers. Come find out what she has to say! 1. Thank you for partaking in Feature Friday. Can you tell us a little about yourself? Hello, Larissa! Thank you for giving me this huge opportunity! 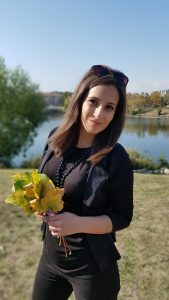 So, my name is Monica Vaklinova and I am a new blogger. My blog is Monica Vaklinova. It is all about my 3 favorite things – lifestyle, travel, and health. But that’s what I do in my free time. I also have a regular job – I am a supervisor in the security section in the airport in Sofia, Bulgaria. 2. How did you first get involved with blogging? Well, my story is pretty long actually. I have a huge love for writing from my early years. Two years ago when I was on a trip I met a guy on a gas station and we became close friends. He was just starting out his blogging journey and he knew how much I loved to write, so he gave me this little push I needed. One year ago I started researching and at first I was really scared to start because there was so much information and so many things I had to do, but at the same time I got fascinated by the blogging world. Plus I wanted and I still want so badly to quit my regular job and be my own boss. This is something really challenging for me and I still learn, but I really want to help people through my writing and teach them how to transform their life. 3. What do you find most challenging blogging about your topic? I find it really hard to gain more traffic to my blog. I spend a lot of time promoting my content. I am from the impatient kind of people and patience is one of the many things I still learn. On the other side I am a positive thinker and I firmly believe that struggles are a good thing because they make you work hard and think in a different way to achieve your goal. Struggles are lessons learned. 4. Have you met any interesting people while working on your blog? Who? Why were they interesting? [Not necessarily someone famous – just someone you think is super cool]. Yes, definitely! I found so many talented people and I made so many connections. Two months before starting my blogging journey I found on Facebook one of my muses and mentors – Lauren Duclos from Ell Duclos. She became my biggest inspiration because she is so open about her life, her struggles and her story is pretty amazing. She gives so many advices and at the same time is so available for the people. The connection is so important for her. I like her articles, the way she thinks and just everything she do. Lauren is a great example for me. Hm, my blogging style?! Well, I can’t describe it! I try to be informative and passionate at the same time. I aim to be inspirational and helpful. 6. What do you enjoy doing when you aren’t working on your blog? If I have to be honest, lately I don’t have time for anything different from work, but when I do I love working out, spending time with my family and friends and traveling to a new places. Working out is important for me because in the past I had problems with my weight and an eating disorder plus anxiety and depression and doing exercises helped me to get through these conditions. And spending time with my favorite people is super important because without their support I wouldn’t be where I am right now. 7. Are you a full-time blogger? No, not yet. I am far from a full-time blogger, but I hope to be one day very soon. This is my main dream and I am working hard every day to achieve it. 8. What networking do you do that you feel helps your blogging business? I find Facebook groups very helpful for my biz. The connections I made through Instagram are a huge help also. I work towards finding new people and engage with the people, who already are following me. 9. Many people struggle with posting consistently. How do you keep coming up with material/content for you blog? Do you have any advice to address this problem? Yes, I read a lot about that. And it seems to be a problem for a lot of people. Maybe it is a huge plus that I am a very organized person and I am making lists all the time because it helps me do everything I need to do. Plus I read a lot in my free time and every time I have an idea I hurry to write it down on my notebook, which I carry everywhere with me. My advice is to spend one day in organizing your week life and to write down everything that comes into mind. Blogging without organizing will be a disaster. 10. What’s the best thing a blogger can give to readers? I find the best thing I can give to my readers is to answer their question, to see their problem and help them. To be true to your audience and to share even the ugliest parts is pretty important for me. People don’t want to see just the next useless article full of information, they need someone to tell them the truth and solve their problem. You know we live in a world full of lies and I think people need more truth to their life. 11. What was the most challenging moment in your blog development process, and why? How did you handle it? I had a few moments. It was hard for me to actually start blogging because I didn’t exactly know what I was doing and there were so many unknown things around the process, but with the time it started happening naturally. Gaining traffic to my blog is a real struggle but with more hard work everything is possible! 12. What advice or tips would you give someone interested in starting a blog? I will tell them: “Just do it! Don’t wait for the perfect moment! Start today! Pursue your dream! Start living the life you always wanted! Be free! Be your own boss!”. Did you enjoy what you read? Get to more about Monica! I so love the feature Friday. And hey, I’ve been blogging for almost 3 years, and still struggle with traffic. Thank you Margaret! And yes, you know the struggle. It can be hard, but obviously something we find worthwhile 🙂 Best of luck as you continue on your blogging journey! I also find it can be very hard to balance the two! Best advice ever. I also always say “Just do it. ” That´s the way I started out with blogging. I had no clue and did it anyway. I’m right there with you Pia! I jumped in feet first, and I admit, I did look back a few times and wonder what I got myself into, but I kept pushing forward! I love this Friday Feature. I would love to be a part of it one day. Love this idea! Keep up the good work! Monica seems lovely. I agree with her that there is never a perfect moment to start following your dream, you gotta just go for it! Nice to know I’m not alone. Blogging is certainly a lot if fun but challenging all at the same time. “Just do it”. Some of my favorite words! Most of us who get into blogging only realise how much work it involves, how time consuming when we get into it, especially when you have a regular job or are a student. Your feature Friday is showing that. I am glad i did get into blogging but, yea it’s not just about writing and clicking on the “publish” button! Ah! Inspiring & helping people is one of the best rewards, so i don’t mind. All the best to all bloggers & followerrs this year! We can do this! Our passion for blogging can get us through the challenges! Let’s Keep at it! Nice to meet you, Monica! 🙂 I think most of us bloggers can struggle with getting traffic to our blogs. Don’t let it get you down! Previous Previous post: Feature Friday: Meet Nicola L.
Next Next post: Feature Friday: Meet Michelle H.